There was a lot of optimism going into 2016 for the real estate market to continue with higher prices and higher sales volume. Some of that optimism was due to it being an election year and they tend to be good years for real estate and also with the economy not hitting any speed bumps recently it shaped up to look like it was going to be a banner year. January of this year started off a little slower than in 2015 with 78 sales in Alpharetta compared to 84 in 2015 or a 7% decline. In 2015, the median price for a home in Alpharetta (the number where half the homes sold for more and half the homes sold for less) was $308,000. In 2016 the median price was $365,000, or, up 19.5%. 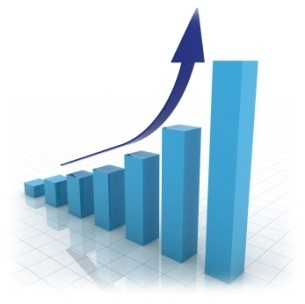 The price increases fueled optimism. But February sales were also lower by 28% in 2016 than they were in 2015 and while two months don't quite make a trend, we in the industry started to take notice that demand was lower than expected. 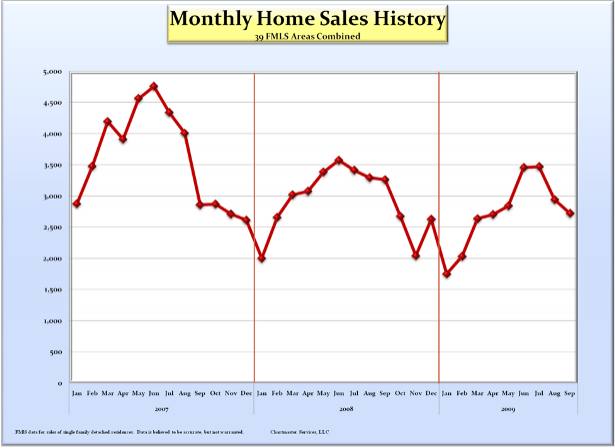 March sales were also down 17% year over year and then we started to see a trend. 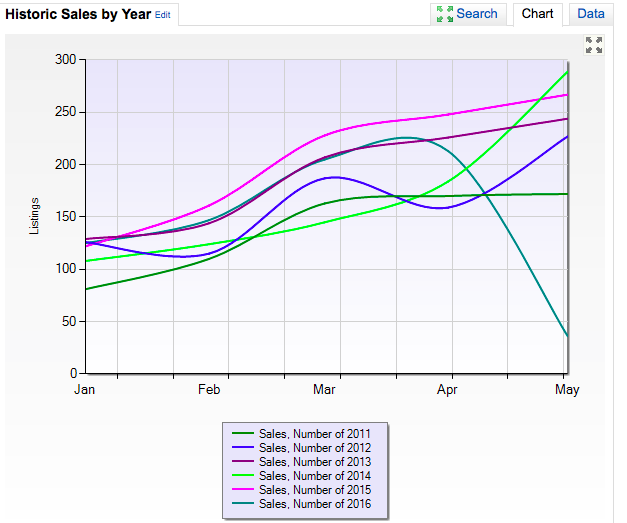 Three months in a row sales were down when compared to the same time period a year earlier. You can see by this chart that year to date in 2016 the sales volume lags behind 2015 for the most current statistics. As we enter the 4th quarter, it's a good idea to look back at the end of the 3rd quarter for signs of what we can expect for the remainder of the year. For all of the hype about the newly improved real estate market, there are some strong signs we have slowed down considerably. Here are some quick numbers I just ran for Metro Atlanta and some of the more sought after areas around the city. 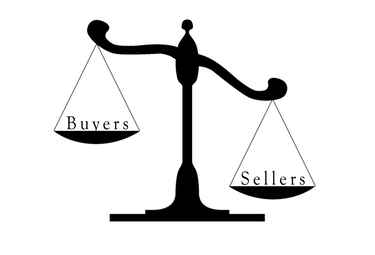 It certainly does not indicate a strengthening seller's market. Combine these numbers with several consecutive months of increasing inventory and we are looking at starting 2014 more like 2013 than most of us would have hoped. Real estate has always been cyclical and it's no different right now. What is different is how quickly the scale has changed directions this time. We are in a stage where the reality of market conditions has shifted much faster than the mentality of many buyers in the market today. In my view, this abrupt shift occured due to fewer distressed sales coming on the market, slightly higher sales volume and the fact that many homeowners who would like to sell are still upside down. 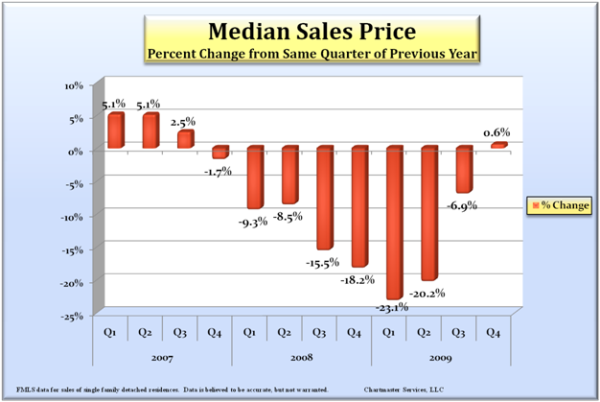 Prices are rising, but it will be some time before we get back to peak prices we saw in 2007. What most buyers are finding out as they enter the market today is that this is definitely not a buyers market. 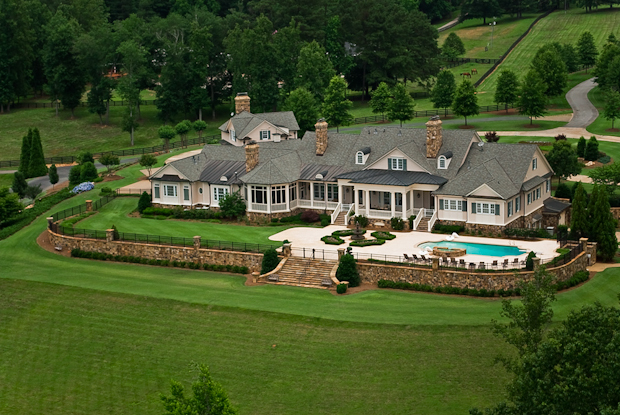 Not only is it not a buyers market, but the lack of inventory to choose from becomes frustrating to them very quickly. Where are those deals? I thought this was a buyer's market? What's happened??? The deals are gone unless you are looking in the $100,000 price range. This is worth repeating. The deals are gone. There are fewer foreclosures and short sales are selling for what they are worth because banks are not just getting rid of them anymore and many sellers still can't sell. What that means for buyers is that they jump in to the market, take their time, find a house, make a low offer and then see someone else buy the house out from under them. 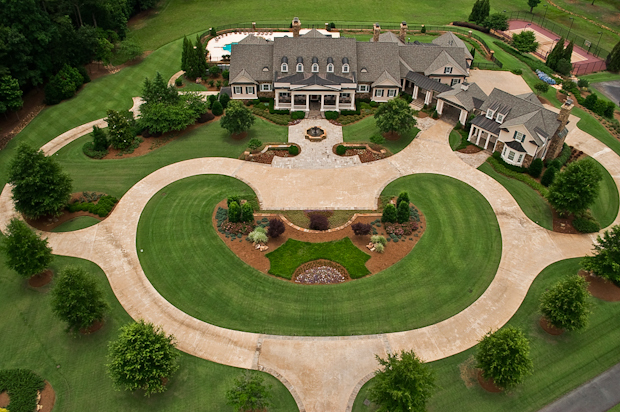 It usually takes losing one or more homes before a buyer will believe their agent that the market has changed. The sooner they believe, the sooner they will be in a new house. We are excited to bring Providence back on the market after a break for the holidays! As you can see from the pictures below, there is nothing quite like this anywhere in North Fulton, or really, anywhere in Metro Atlanta quite like this. 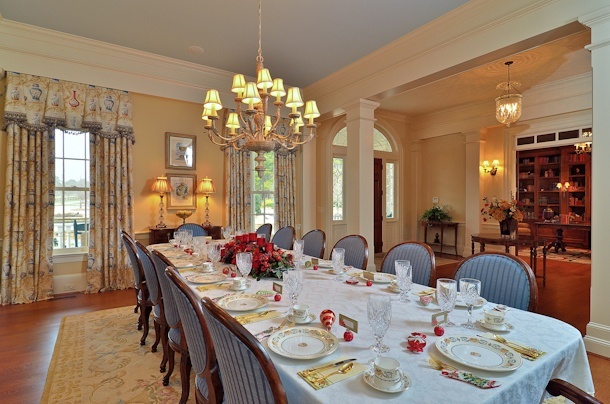 Providence is a very sophisticated, classic American home custom designed by Stephen Fuller. 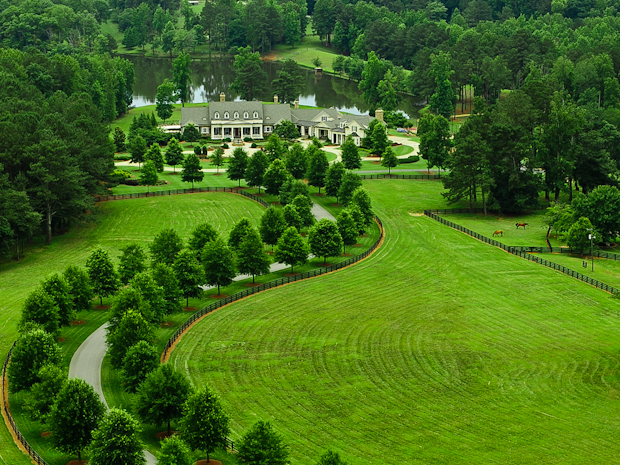 The setting - your choice of either 30 or 60 acres (both with lake frontage), is private and peaceful and the home itself is a magnificent achievement of understated elegance and symmetry inspired by Thomas Jefferson's Monticello and George Washington's Mount Vernon estates. If you are interested in viewing this home, please contact me directly and I will arrange a private showing. You can find more photos and a video at Providence's dedicated website, www.estatesinmilton.com. Call me directly at 404.630.3187. Enjoy the photos! This is something that we (and I think many other agents) struggle with in the market today. We meet with a client and go over what we believe should be the list price of a home and it's seldom a pleasant conversation. Typically, sellers know it's worth less than it was a few years ago, but getting the price right today really is more important than it used to be. 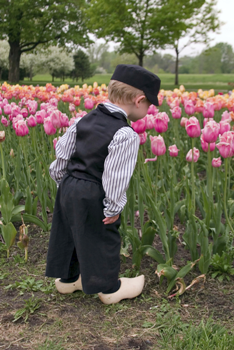 A home gets it's most activity from potential buyers in the early part of a listing period - the first 2 weeks. If it isn't priced for the market, it won't get an offer. Still, seller's feel they need to leave room to negotiate because they feel they need to squeeze every penny they can out of their sale. It's a fair enough idea, but it isn't grounded in what the data says they should do. First, I'd like to discuss an important concept that regularly gets overlooked by both seller's and agents: It's impossible to underprice a home. Let me reiterate - you can't underprice your home. In a free market, it doesn't matter if you underprice by $1,000 or $50,000. It will sell for as much as the market will pay. Not more, not less. So let's try to do a better job of recognizing the understandable objection about pricing and do a better job of explaining how the market works. 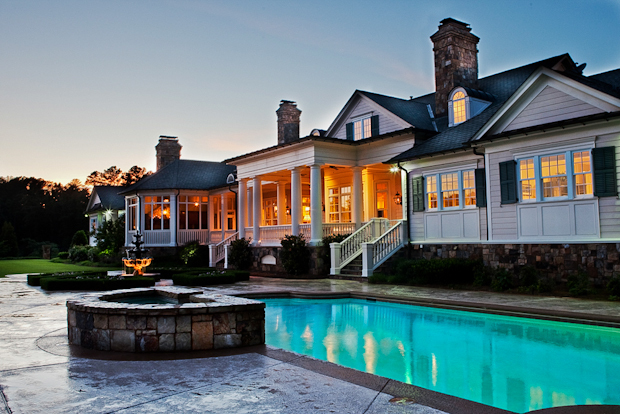 If you list your home for the correct price, it will sell and it will happen fast regardless of your price point. 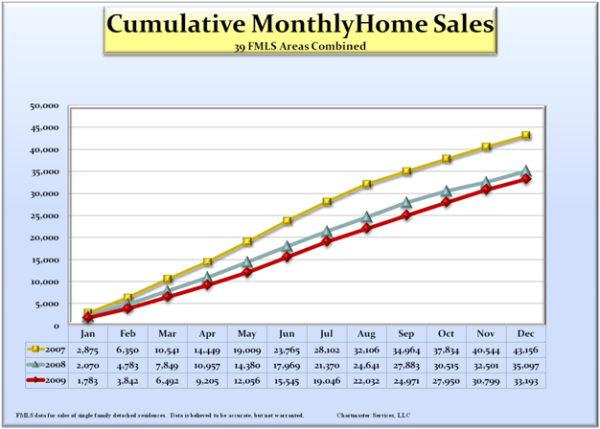 It's not like homes aren't selling (see chart). We should have had this up before Christmas, but our schedules just couldn't make it work. 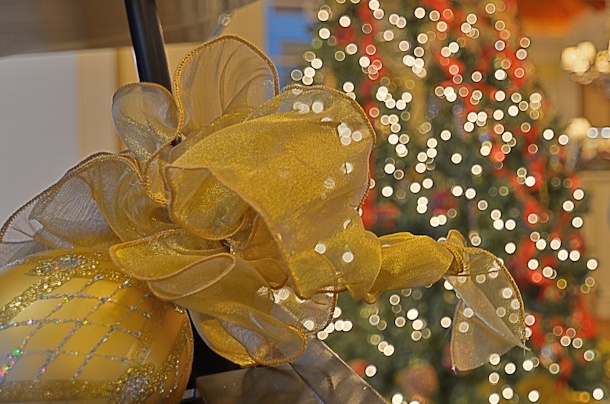 Providence is an exceptional home by any standards, but the warmth you feel during the Christmas Season is something that photographs can just begin to help you explore. Nevertheless I gave it an effort yesterday. I only had about an hour and a half for the everything and the home is large requiring multiple lights set up to fill the rooms. This is realy only a glimpse, but worth a quick look. My plan was to take the exterior shots at dusk and use them as the intro photos here, but for various reasons we couldn't get those shots. I think the ones I was able take will help give you an idea of what it's like to host parties and have family over for the holidays. I know this home is for only a few, but if you are someone who appreciates the finest craftsmanship and quality, you need to come visit. It is truly a masterpiece. 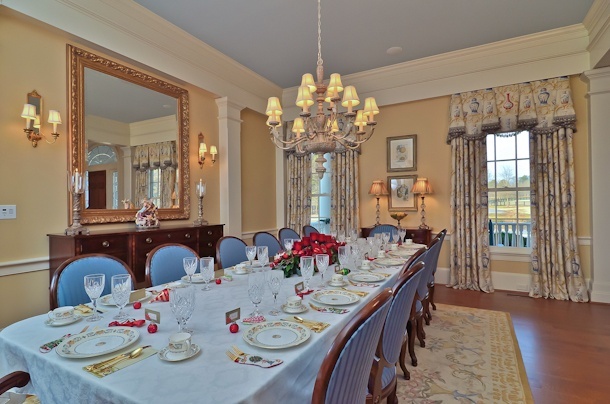 You can see the full virtual tour here. 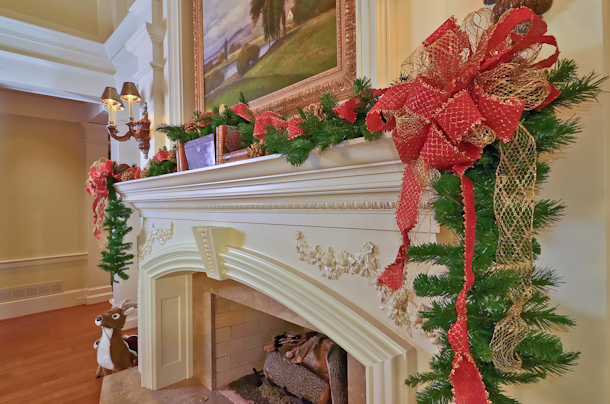 Listen to the piano, watch the fire and think of how you can theme this room for Christmas! 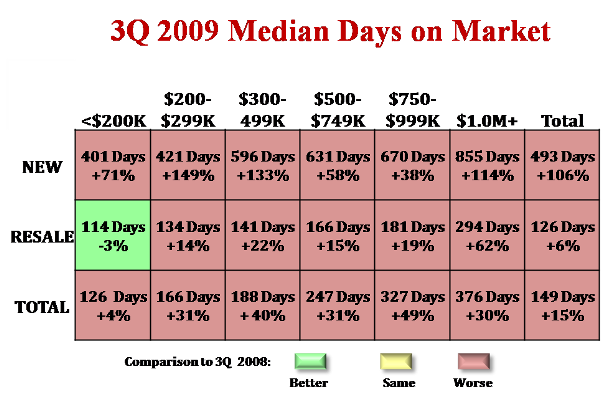 The 3rd quarter is over and it was not great - but not really worse than most analysts expected. During the second quarter (and before the statistics were complete), many of us thought that we would see year over year increases in sales volume, but those numbers were more heavily influenced by the tax credit than was factored in to many of the early interpretations. It now looks like we will end up a couple percent down in sales volume and 5-6% down in sales price. ANother significant statistics for real estate here localy is that for the first time, RE/MAX is no longer the number one real estate company in Atlanta. Keller Williams surpassed RE/MAX in the number of closed sides of real estate transactions. Congrats to all of us at KW in Metro Atlanta! Do You Know Where Your Property Line Is? This one definitely isn't perfect, but I'll improve. I think it's an important topic and hopefully it will help convince you of why you need a survey. I'll write a follow up post with more information on why you need a survey this evening. "The Georgia Senate Thursday unanimously passed legislation aimed at overhauling a property assessment system thrown into disarray by huge market-driven fluctuations in property values. The bill, which now goes to the House, would restore Georgia homeowners’ loss of confidence in the fairness of the property tax bills they receive from local governments each year, said Senate Majority Leader Chip Rogers, the measure’s chief sponsor. Homeowners across the state are complaining that they’re being taxed based on assessments that no longer accurately reflect the declining value of their properties, said Rogers, R-Woodstock. In an effort to ensure greater accuracy, the bill would require local governments to send out assessment notices to property owners annually. Owners who disagree with their assessments would be given 45 days to appeal, up from the current 30 days. In setting property values, assessors would have to take into account the effects of foreclosures in the neighborhood." I find this to be great news for homeowners across the state. I get emails from homeowners who find me online, past clients and friends asking how to go about the process of appealing their tax assessments. With the market in flux the way it is, we need a more responsive government. I’m only looking at 2 bedroom condos which represent the largest and most popular segment and I’m only looking at Buckhead. People that want Buckhead typically do not want Midtown or other areas so I want to make sure I don’t get results outside of the relevant market – you could make the case that it is necessary and on some level I agree so I’ve also included the overall market so that we can draw some relevant comparisons. I’ve separated them out so we can isolate the area. 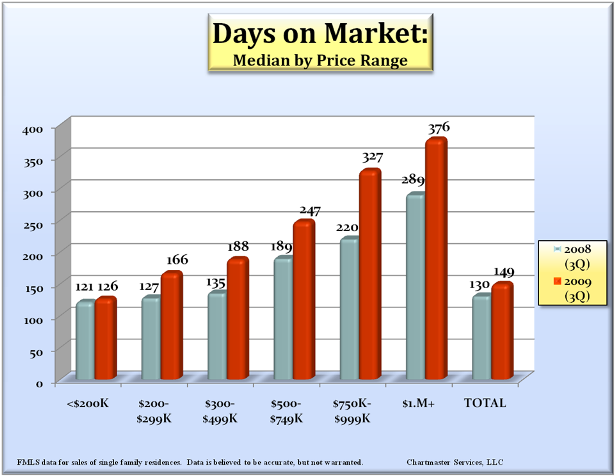 Buckhead is outperforming the greater market as you will see from the stats below. Looking only at the stats, you would not say that it is outperforming the entire market, however, the difference in price points is so significant that although it is under performing statistically, it would be impossible to perform as well as the greater market. The fact that it is so close indicates to me that it is actually a stronger segment than the overall condo market. I've put together the same information two different ways in the charts below. To me, they show some interesting trends. While they don't give a complete picture, they do show how far we have fallen and the three year history begins to be enough to give us a nice perspective. 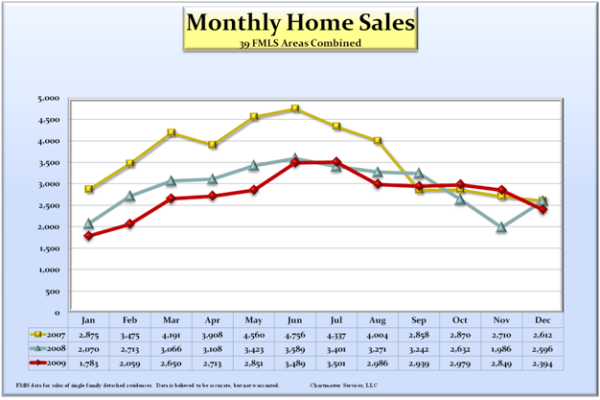 After strong mid summer sales and real hope for 2010, the residential real estate outlook has dimmed again. The $8,000 tax credit is looking very much like the last great hope for 2009 to bring back some balance - or at least give a strong push of the pendulum back in the balance direction. 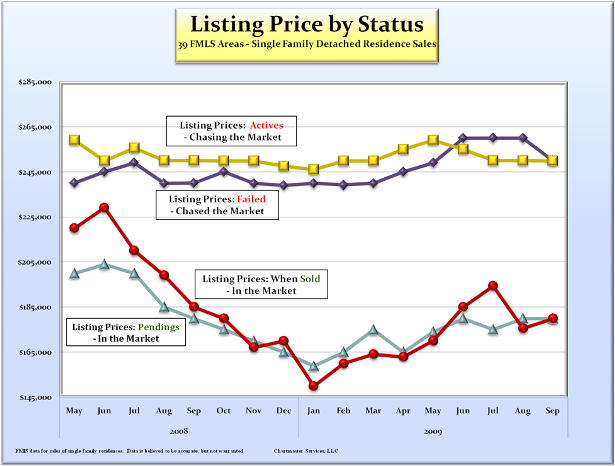 The chart below shows sold single family residential units compared to pending residential units monthly during 2009. The uptick is incredible and certainly caused by the end of the tax credit. 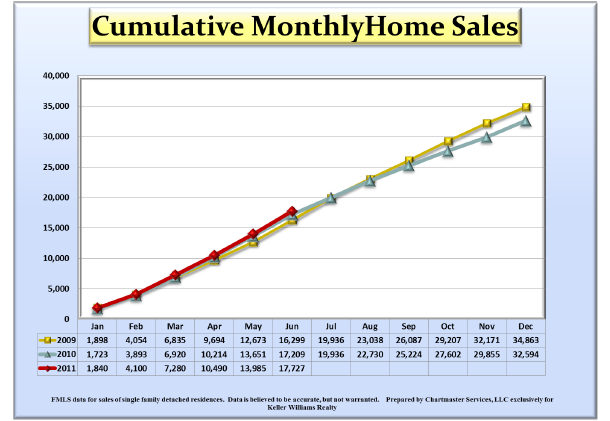 We will have to see how much of this strong surge in pending sales actually close before making any real predictions for 2010 and it will be mid to late December before the numbers arrive. If a large number of these homes do close, we should at least see one positive trend continue and that is a lowering of inventory. 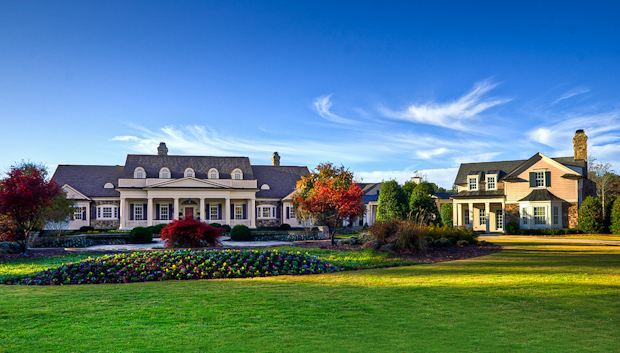 The average price for a home has dropped 8% in North Fulton since the summer of 2008, but, prices are trending up, sales volume is trending up and inventory is trending down. We are still down in price from the summer of 2008 because pricing continued to decline until February of 2009 (they have been rising since). It seems as though market forces are correcting the market even without the inducements provided by the government and we are really expecting a surge of closings as the $8,000 tax credit expires at the end of November. Whether it gets extended or renewed is up for debate. I hope they renew rather than extend. I think it will induce more sales that way. Nevertheless, deals are going fast. Unfortunately there are still far too many know-it-alls that think prices in Atlanta are going to be dropping another 15%-20%. I feel bad for these people because they fall into the "clueless" group and will miss the deals. Too bad, but, I suppose I can't convince everyone - nor should I try to, I suppose. 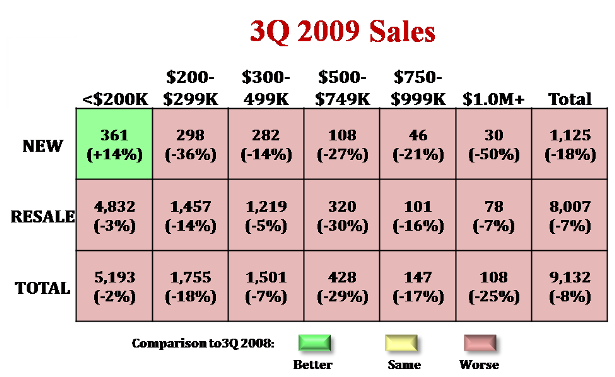 Positive year over year closings (more this year than last, sales volume is up). 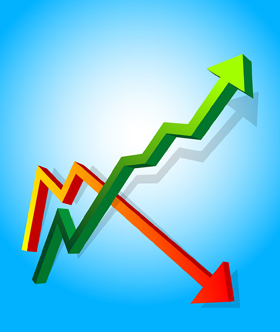 Total price declines are continuing to decrease and would almost disappear by precluding condos and townhomes. In March, I wrote about what I thought was going to happen this summer and moving forward in the Atlanta market. It does appear that what I thought might happen is actually beginning to take place and that is good news for a real estate market that is in desperate need of something positive and tangible to hold onto. Many of you may have read reports earlier this year in the AJC indicating price increases in certain areas of the city, but, they failed to place the fine print in an easily readable place in the article and the realities are that those reports are not very accurate. Fortunately, this report is very accurate as we won’t neglect to include foreclosures and other necessary parts of the equation that make up today’s market. First, the actual number of homes for sale in Atlanta is down considerably from the same time period (May) of last year. Last year, there were 69,638 homes for sale. This year there are a full 16,000 less homes for sale at 53,081. That’s a full 23% drop in inventory and if you have read anything I have written, you know that lowering inventory must happen before prices can stabilize. Let's not get ahead of ourselves and talk about increasing prices just yet. Let’s just work towards stable because no sooner will we say stable than we will be talking about increasing prices – we are not there yet. This is still going to take a while and there is still at least one more very large shoe to drop with foreclosures entering the market in the largest numbers we’ve seen to date. We’ll see if the banks can push them out as fast as the rumors say they will. 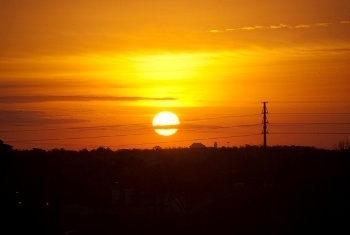 In a perfect prelude of what was to come, the sun rose on a clear, cool Orlando morning for the Keller Williams Family Reunion this year. This was my first time attending and I really didn't know what was in store. Many of the agents in my office who had attended previous KW Family Reunions were either excited for me or sorry that they would not be attending so I was beginning to get excited about the prospects of meeting new agents and learning a great deal in a compressed environment to improve myself, my business and to be able to bring something back with me that I could share with others. What happened was far beyond my wildest expectations. February Marks the End of the Slow Winter Season - What Can We Expect Now? 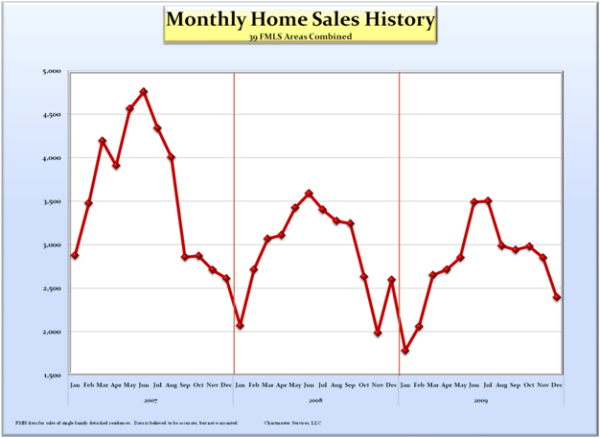 Traditionally, February in Atlanta (right after the Super Bowl) is the beginning of the end for the slow winter season in the real estate market. After 2008, most experts now at least see the light at the end of the tunnel. 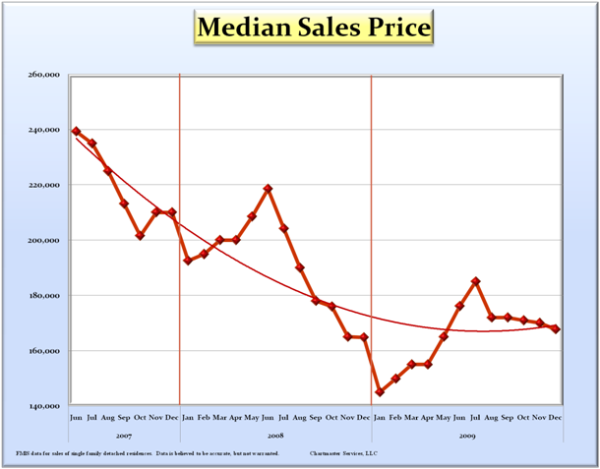 Prices have come down and inventories have been decreasing for the last 5 months. What this means going forward is a beginning of the end for further price declines and summer should bring back some balance to the overall real estate market in Atlanta. Of course, this change will come slowly and it's possible for certain segments of the market to continue price declines for several more months. Most areas north of I-20 should begin to see a leveling off before many of the areas south of I-20. 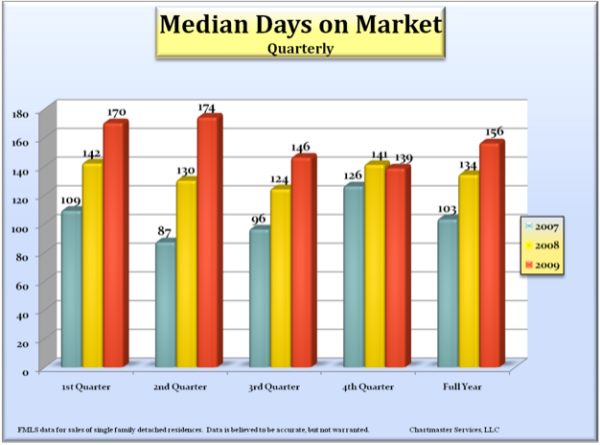 Some segments of the market are already nearing more "normal" levels of inventory as it relates to sales volume. For example, housing starts have come to a complete halt and inventories of existing finished new homes are dropping faster than any other segment due to the lack of new starts. 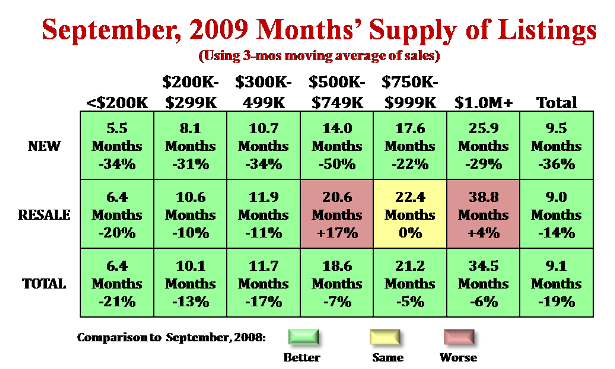 At the current rate of sales, new construction will be at seller's market inventory levels by the end of the summer.